A report recently released by IMS Research, suggests that there may be increased integration in the intrusion alarm industry as more companies combine home automation and home security systems into a single platform. 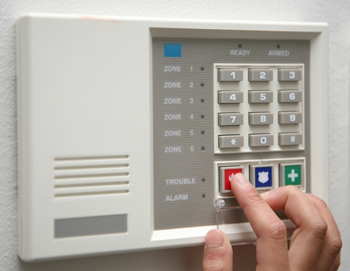 According to the report, the residential sector made up slightly less than 41 percent of the $2.7 billion global intruder alarm market in 2012 and is forecast to be one of the fastest growing verticals in the industry over the next five years with an estimated compound annual growth rate (CAGR) of 5.3 percent from 2012 to 2017. “The increase in new entrants attempting to penetrate the North American and European markets for home security is evidence of how successful this trend is becoming, “said Adi Pavlovic, analyst for access control, fire and security at IHS. “Home management integration is gaining the most popularity in North America, which will increase the penetration rate of intruder alarm products into the residential sector. Europe also may not be too far behind, as energy-management features are making their way into more homes every year. Deployment in Asia, however, is expected to be the slowest due to its large multifamily-apartment culture and the absence of professional monitoring services. Despite the increased popularity of integration between automation and security in residential dwellings, IMS said that the commercial sector has been slow to come around. The research firm cited a lack of “unified legislation” across each technology platform as being the one of main factors for this. In fact, IMS said regions with more lenient regulations like the Middle East benefit from having the opportunity to integrate multiple systems into a single solution, which is not only more convenient, but also saves time and lowers costs by working with just one installer. Momentum toward integration within homes is also being driven by increased investments into end user education from new market entrants. This growth of integrated systems is expected to continue to develop in the residential sector during the short to medium term.